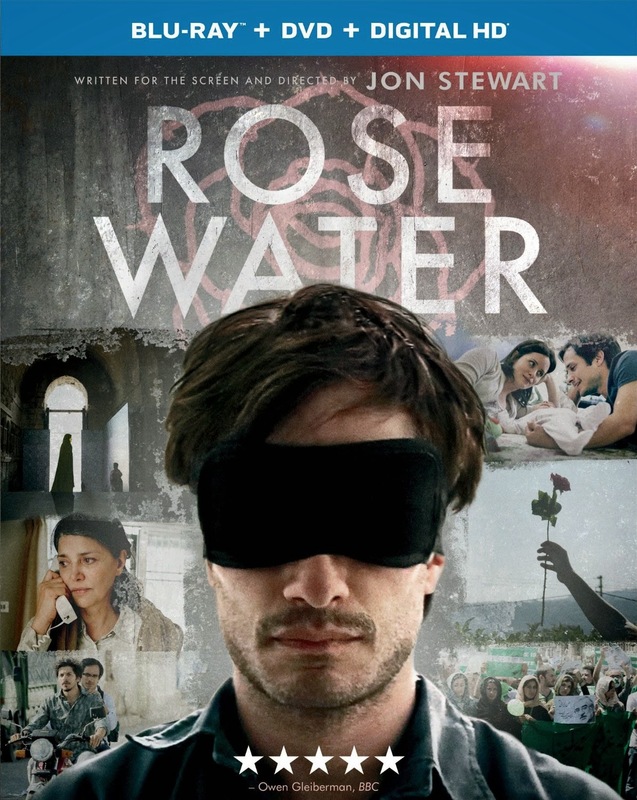 After announcing his retirement from “The Daily Show” the same week as the DVD and Blu-ray release of his directorial debut, one cannot help but wonder if Rosewater was just the beginning of a career in filmmaking for Jon Stewart. Based on the confidence in his debut feature, this could be a worthwhile venture for him and for audiences alike. Far from a perfect film, Rosewater does carry over the same ability that Stewart has employed on his comedy news show for seventeen years. While never diminishing the seriousness of the subject, Stewart is able to allow humor to exist within the lunacy of the narrative. Perhaps this in part possible because of Stewart’s connection to the true story the film is based on, so much that it becomes a part of the narrative. The story is based on “Then They Came For Me,” the memoir by Tehran-born journalist, Maziar Bahari (played by Gael Garcia Bernal), who was arrested while covering the 2009 presidential election in Iran. Part of the evidence used against him was an interview done with Jason Jones for “The Daily Show,” in a bit where the comedian pretended to be an American spy. The real reason he is arrested seems to have instead been for the footage that he shot, although the officials holding him insist that this is not the reason. They interrogate him, seeming to be making up the reason for why he is guilty as they do. This interrogation is carried out primarily by a man Bahari knows only as ‘Rosewater’ (Kim Bodnia), a nickname given to the man because of his perfume of choice. The interrogation takes months, all in an attempt to get Bahari to admit that he is a spy. Even when the journalist is willing to admit this just to be set free, the Iranian officials don’t seem certain what to do with him. There is a Kafkaesque confusion about the entire endeavor, which lightens the mood of the otherwise bleak narrative. The Blu-ray combo pack release also includes a DVD and Digital HD copy of the film. The extras only contain five featurettes, but many have a comedic edge to keep them entertaining while also informative, like much of Stewart’s work. In fact, one of the featurette is on the director’s perspective.